We are delighted to announce that the Tait Trust will now support young performing artists from Australia and New Zealand. 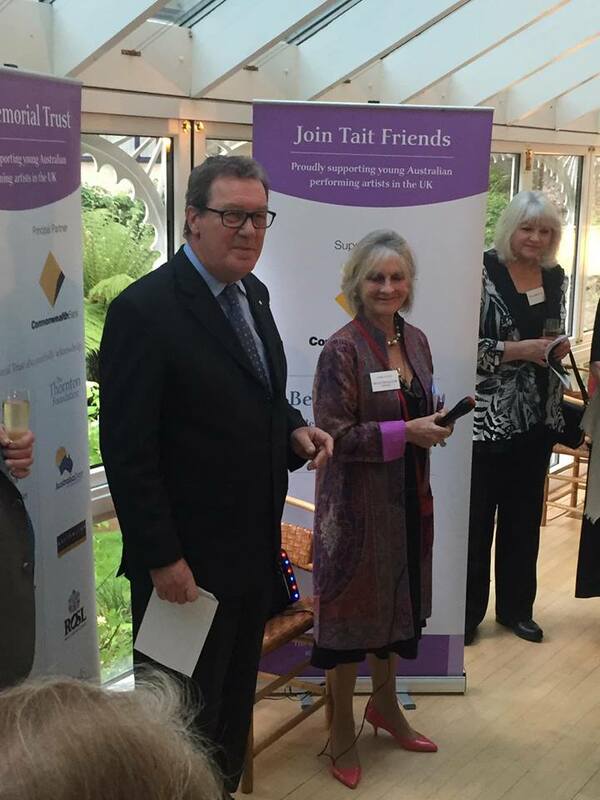 HE The Hon Alexander Downer AC with Tait Chairman, Isla Baring OAM announcing Tait support of NZ young performing artists. 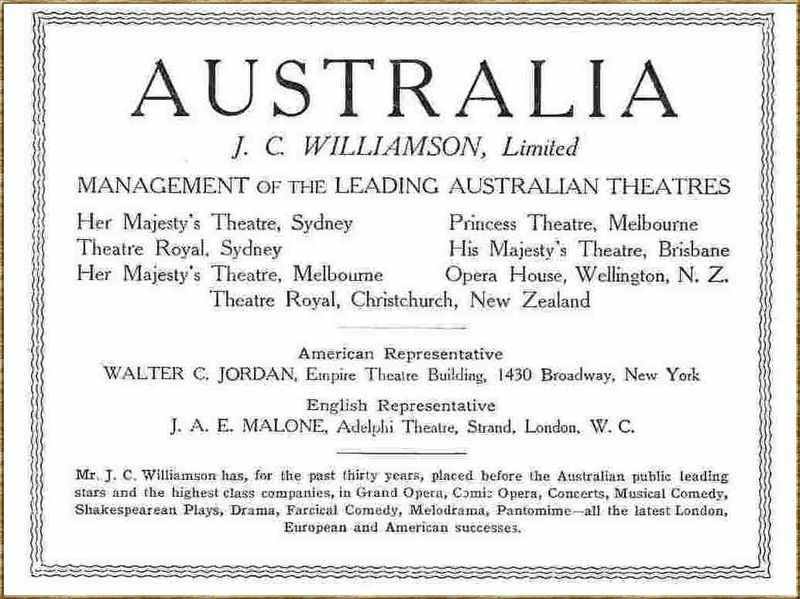 This decision is inspired by the work of the Tait Brothers who were instrumental in the development of the Arts in Australasia in the 20th Century as can be seen in the advertisement for J.C.Williamson Limited. Over the years we have supported several young New Zealander’s due to our partnership with the Joan Sutherland & Richard Bonynge Foundation, Bel Canto Awards, including James Ioelu and Marlena Devoe (pictured here with Australian tenor, Gerard Schneider at our 2014 Tait Winter Prom). Our wish is to provide financial and mentoring support for outstanding NZ dancers, singers, instrumentalists & composers to develop international careers at the highest level. We extend a warm invitation to all Kiwi’s living in the United Kingdom who wish to join us to help their talented countrymen. Maybe consider sponsoring an award or contribute towards our Endowment Fund. Please contact james@taitmemorialtrust.org if you wish to learn more about this exciting development, or would like to be involved.